Escape rooms have jumped in numbers over the past few years. In 2014, there were only 22 escape rooms in the U.S. By 2017, there were just about 2,000 escape rooms. Now, there is a way to bring this fun to your living room with the abundance of escape room board games. You're in the right spot if you're looking for an escape room board game review! What Is the Dr. Gravely's Retreat Escape Room Board Game? For this escape room board game review, we will discuss Dr. Gravely's Retreat. This escape room board game allows you to analyze and strategize with puzzles and codes to solve a mystery at Dr. Gravely's retreat. This game's objective is to work with the other guests to discover Dr. Gravely's secret through solving clues and puzzles. 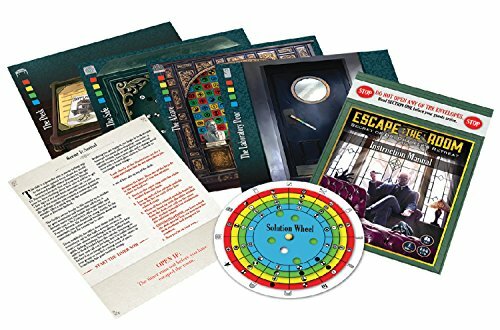 We picked a few similar escape room board games new on the market to see how they compare. We will compare each game by the price, ease of play, the number of players, story line, and multiple play option. This game can be completed within 90 minutes and is for players 13 and older. This game allows for 3 to 8 players. Most players think the best is 2 to 3 players. It is 1913, and you won a free stay at Foxcrest Retreat where the famous Dr. Gravely improved upon the latest spa treatments and relaxation. Once you arrive to your all-inclusive stay, you find that the resort is not what it seems. Dr. Gravely's escape room board game can be reset for multiple play-throughs. Users have said the game progressively gets easier with each game play. This game is expected to go for exactly 60 minutes. To complete each part, you need to insert 4 keys into the “Chrono Decoder,” which does not come with batteries. Start the game by opening the first envelope and solve the puzzles are inside. Try to open the Chrono Decoder with 1 of 4 keys when you think you've solved the puzzles. The Chrono Decoder must be set at the beginning of the game when it counts down from 60 minutes. This game allows for 3 to 5 players. According to players, it plays best when there are all 5 users. This game does not have much of a story line, but instead three parts you must solve and get through before time's up. This game is ideal for those who love solving puzzles and cracking codes and do not care for the story line. You have the option to play 1 of 4 different escape room adventures with varying levels of difficulty. The adventures are: Prison Break, Virus, Nuclear Countdown, and the Temple of Aztec. Bring home the thrill of escape room! The game where everyone is after the same goal: to escape! You have only an hour to escape the room. You can do it! 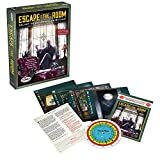 This escape room board game review is a great mix of following a basic story line, solving puzzles, and having that "beat the clock" feel that heightens the adrenaline. This game can be completed within 30 to 90 minutes for players 13 and older. When you start the clock, unpack the Escape Room box, which has all the materials you must have to solve clues. Along the way, hints become available, which is helpful if you get stuck trying to crack a code. 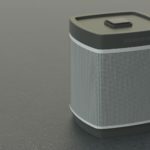 This game is also integrated with the Alexa Echo, and offers timers, a soundtrack, and other elements. This game allows for 2 to 8 players. Many users have agreed that the best number to play this game is between 4 to 5 players, and that 8 is far too many. 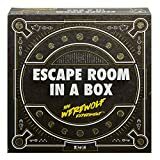 The group of players only has only one hour to work together to find clues, solve puzzles, and unlock the antidote before becoming werewolves. This game allows for multiple play, but you may get through it faster the more you go through it. In this escape room game review, we'll discuss The Abandoned Cabin Game. The Abandoned Cabin is one of several escape room games. Thames & Kosmos own a game brand called Exit The Game with 10 different game types, including The Abandoned Cabin, The Forgotten Island, The Secret Lab, and others. This game can be completed within 60 to 120 minutes for players 12 and older. The game includes a rule book, scenario book, clue cards, a decoder, and some useful hints. The scenario book acts as the locked room. This game allows for 1 to 6 players, so you could play by yourself if you want to! However, many users agree that the ideal number of players is 2 to 3. You and your friends only meant to stay in the cabin for shelter overnight, but come morning the door has been locked with a secure padlock and the windows have been barred. You must escape this cottage by cracking codes, solving puzzles, and collecting objects. This game is only meant to be played once. Other players have drawn and taken notes on the cards to help them solve the puzzles and codes. 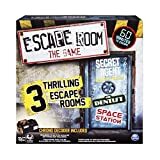 Purchasing an escape room board game is a great and more inexpensive way to bring the fun of escape room puzzle solving and cracking codes to your living room. Based on the price, ease of play, and the number of players, the best escape room board game review goes to Escape Room: The Game for being most like an actual escape room, with several levels of difficulty and game play. 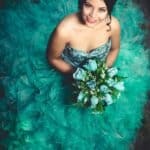 Next articleHow to Wrap a Gift Basket Without Handle?